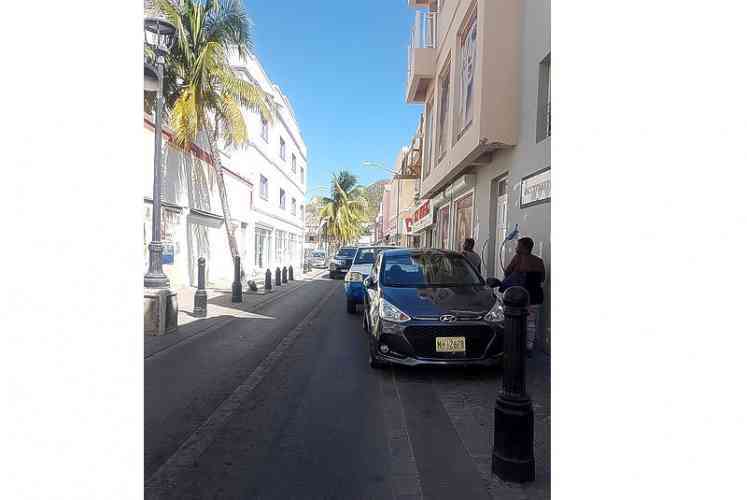 Indiscriminate parking by these two vehicles on Back Street on Saturday obstructed the flow of traffic on the busy street. The removal of the stanchions from various parts of the street has promoted illegal parking and the obstruction of pathways for pedestrians. This also occurs on Front Street.